For some, hair crops up where it is most unwanted – the face (if you are a woman), arms, legs, back and under arms. Laser light hair removal is a safe, non-invasive procedure that gets rid of unwanted hair using the power of targeted laser light energy. There is minimal discomfort and no downtime involved in this procedure. What are the benefits of Permanent Hair Reduction? 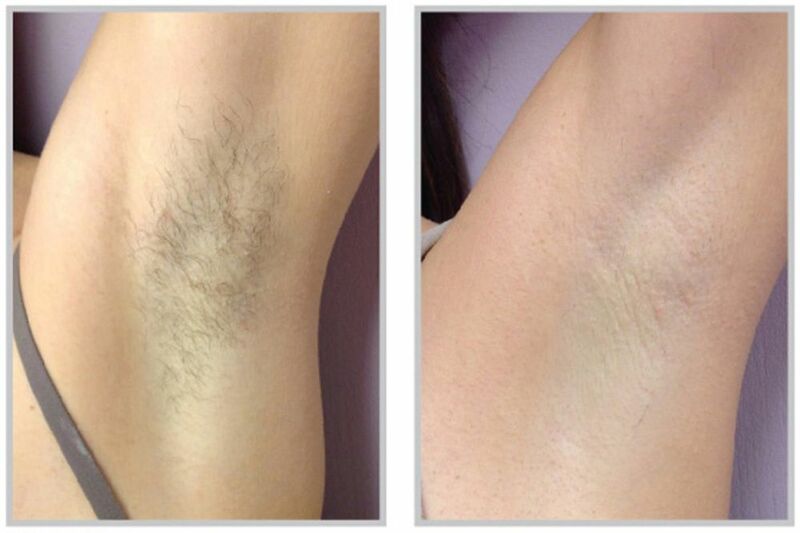 Permanent laser hair reduction treatments can be used on any body part where unwanted hair is a concern. This will simplify your grooming routine and reveal your soft, smooth skin. Eliminate unsightly ingrown hairs and red bumps caused by waxing and shaving with laser treatments that offer long lasting hair removal without irritating delicate skin. During a treatment, a beam of light targets the dark, color producing cells (melanocytes) in the hair follicle, reducing its ability to grow hair but leaving the surrounding skin smooth and undamaged. This highly focused procedure affects only individual follicles in the active growth stage to remove unwanted hair. Repeated treatments provide longer lasting and even permanent results.